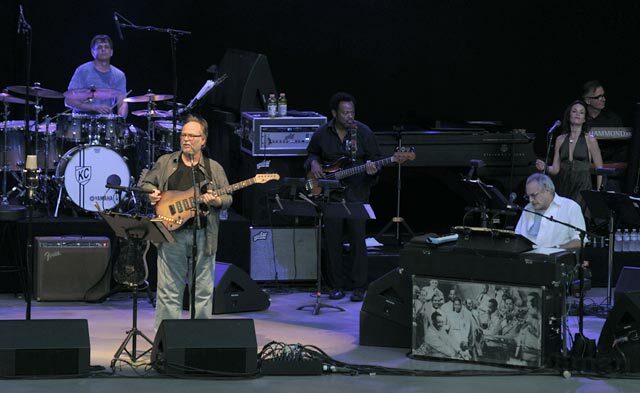 Steely Dan, one of the greatest recording groups of the late 20th century, looks set to also be remembered as one of the best touring acts of the 21st. 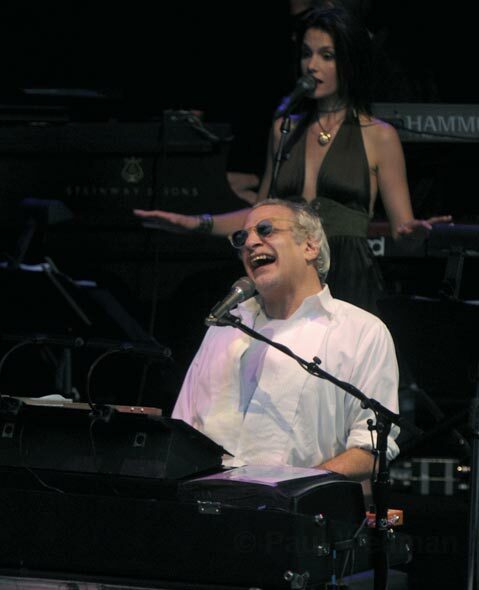 Their appearance at the Santa Barbara Bowl on Wednesday, July 6, found the principals, Donald Fagen and Walter Becker, in fine form and their band, the Miles High Big Band, assisted by the Embassy Brats on backing vocals, on fire. Despite the world-weary point of view assumed by many of their best-loved songs, the duo have aged into a surprisingly affectionate stage presence, easily capable of spanning the decades of their output with crisp arrangements and gleaming, jazz-inflected solos. 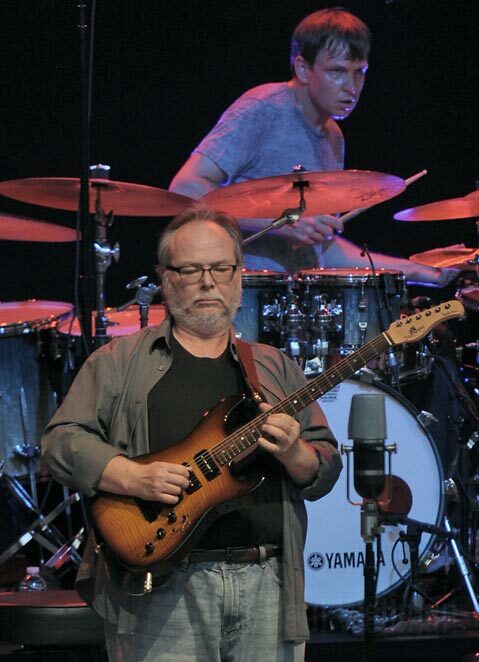 After a blistering Dizzy Gillespie opener from the band, Becker and Fagen appeared and launched into “Your Gold Teeth” and “Aja.” Although the Shuffle Diplomacy Tour involves some stops with predetermined set lists based on complete albums, Santa Barbara was not one of them, leaving the group free to range widely. Becker delivered a hilarious, Santa Barbara-specific spoken interlude during “Hey Nineteen,” the entire purpose of which appeared to be setting up the song’s classic name-check of a certain popular brand of tequila. Becker’s imaginary post-concert scenario deployed such details as a home on the Riviera, a fine wine collection, a Catholic schoolgirl outfit, and a third marriage to slyly hilarious effect. Jon Herington’s guitar and Walt Weiskopf’s saxophone managed to stand out even in this exalted musical company, and Fagen’s expressive, perfectly enunciated singing was never less than first-rate.